﻿ Florida Players Presents poster for the 12th annual summer repertory theatre in 1983. Florida Players Presents poster for the 12th annual summer repertory theatre in 1983. 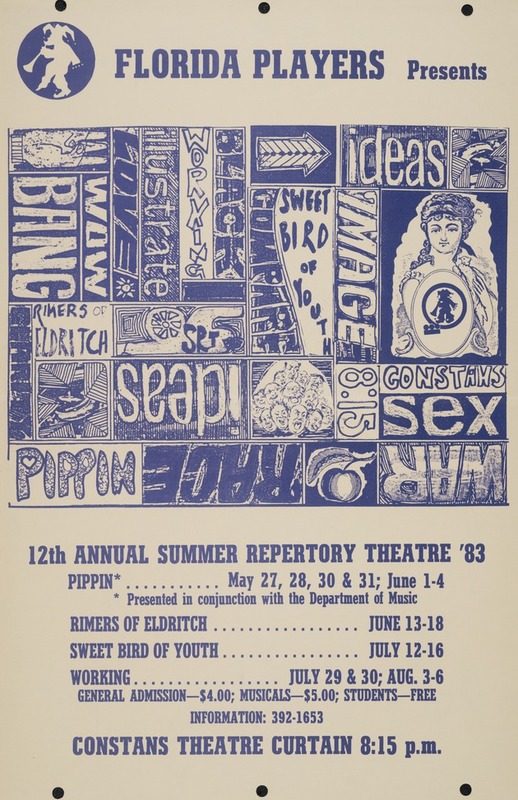 A Florida Players poster with a list of the 12th Annual Summer Repertory Theatre '83 with the dates and names of the plays. The top half of the posters has a box with drawings and graphics. CONSTANS THEATRE CURTAIN 8:15 p.m.